It’s no secret that dealing with insurance companies and assessors can be an unpleasant experience, especially if you’re already worried about your stolen or accident-damaged vehicle. With many insurers compensating customers at the current value of their vehicle – as opposed to its value when the vehicle was bought – motorists can quickly find themselves drained of funds after wrestling over their claim, especially if the vehicle was brand new. 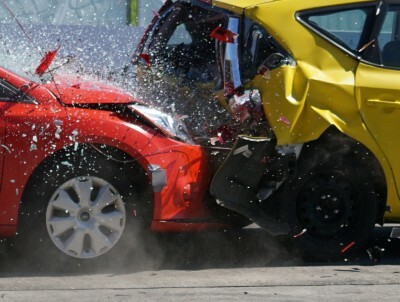 The ‘GAP’ in Gap insurance stands for ‘Guaranteed Asset Protection’. There are many different kinds but, largely, this type of insurance is designed to complement your traditional comprehensive car insurance to cover any shortfall between a car’s value (to be defined) and any insurance pay-outs. New questions have been raised over the links between the police and companies offering speed awareness courses, with motorists potentially risking major problems if they fail to tell insurers about courses. Insurers have admitted that they currently treat speed awareness courses the same as penalty points, and it’s feared that failing to declare taking part in a course could invalidate an insurance policy. According to the latest figures, car insurance costs may halve by as early as 2020 due to the increase in the number of driverless vehicles on British roads. It’s estimated that annual premiums could be cut by up to £265 on average within the next five years, with the influx of driverless vehicles expected to ‘eliminate’ bad driving: still considered to be responsible for 90 per cent of road accidents. Are you aware of the changes to women’s car insurance? A recent report by AA Insurance has found that one-in-four (26 per cent) of British drivers are unaware their car insurance premiums will be affected by the new gender ruling passed by the EU. From December 21st the new EU guidelines will make it illegal for car insurance providers to take a driver’s gender into account when calculating their insurance premium. UK comprehensive car insurance premiums have increased by as much as 12.3 per cent in the space of 12 months, according to new research. Average comprehensive premiums are now £92 more expensive, taking the typical premium up to £843 per person.